Although, I received damaged queen of hitler’s army but within two days Regency supplies the replacement to me. Back to the original topic. I love to read, watch and learn about WWII and its related topics such as holocaust etc because history teaches us that how should we make reforms in our present to reshape a better future. Therefore, I bought this particular chess set. The quality of product is amazingly too good. 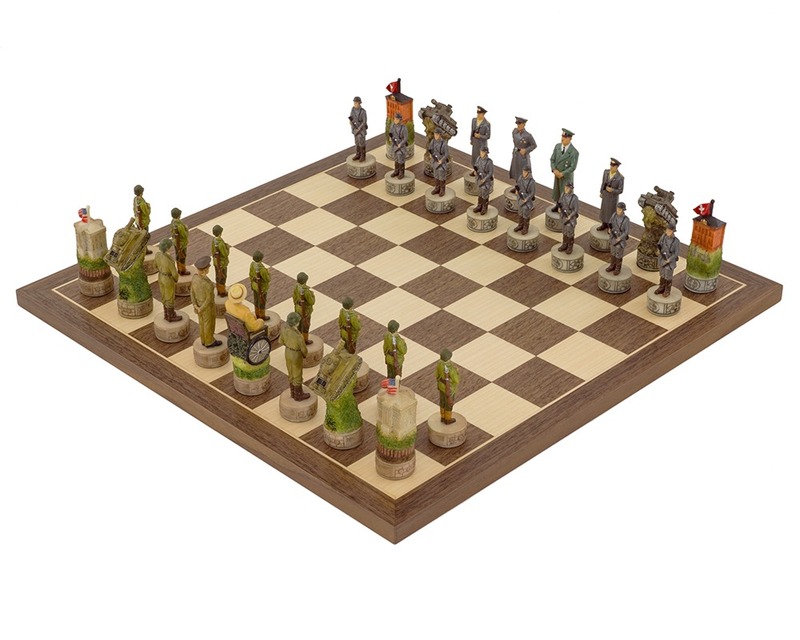 The finish of the board is excellent and each chess piece have incredible details. From the first touch you will notice that it is made of superb quality material, not cheap material or plastic etc. The size and weight of the whole chess set is absolutely perfect. You won’t regret on this purchase.